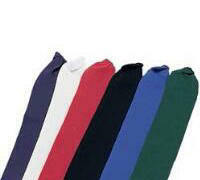 Many of our products can be custom embroidered or printed with your logo, slogan, or special wording. Each item is stocked and ready for you in as little as two weeks, depending on your requirements. We can ship next day, hats with or without bands. Items with embroidery or printing, take longer. Our Hats are designed and manufactured by a USA company with over 44 years experience. They began their headware business in 1972 in the premium/promotion industry selling direct to retailers and private label companies with custom projects. Their production staff are held to the higest standards of production and manufacturing, allowing them to stand behind the quality of all their work. 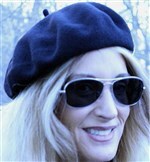 Our Black Beret is of the highest quality 100% Virgin Wool. Made in Europe, where attention to quality and detail is unsurpassed. Looks great on both men and women, size 10.5". Our cocoa colored straw Life Guard hat is one of the most popular hats in the promotional industry. It has a 5" brim, and one size fits all. Shown without band and with blue band and logo. Our natural colored molded Pith Helmet offers protection from the sun. It has an adjustable Velcro head band for sizing, as well as terry cloth padding inside. Three eyelets on each side provide extra ventilation. Our natural color straw, twisted linen Pro Golfer hat with sun block, is great protection on the golf course or tournament, and with your logo, a perfect promotional product. Inside stretch head band fits all.